Gamescom 2018: Microsoft releases Xbox Game Pass app for Android and iOS. During Gamescom 2018, Microsoft announce the release of the Xbox Game Pass app, now available in beta on iOS and Android. If you're a member of Xbox Game Pass, you're going to want this app! Browse any of the games in the Xbox Game Pass catalog, discover new titles and download them straight to your console when you're on your mobile device. Xbox Game Pass provides gamers the ultimate value and freedom to play over 100 great games for one low monthly price. In addition, Microsoft also announce that Halo: The Master Chief Collection will be included with Xbox Game Pass beginning September 1, corresponding with a significant game update for all players on Xbox that delivers new visual enhancements with up to 4K UHD resolution on Xbox One X, improved matchmaking, offline LAN, customizable installation options, and faster load times. This is the definitive way to experience the ultimate Halo saga and includes the extensive suite of campaign, multiplayer and additional features from Halo: Combat Evolved Anniversary, Halo 2: Anniversary, Halo 3, and Halo 4 - all updated to run at 60FPS. 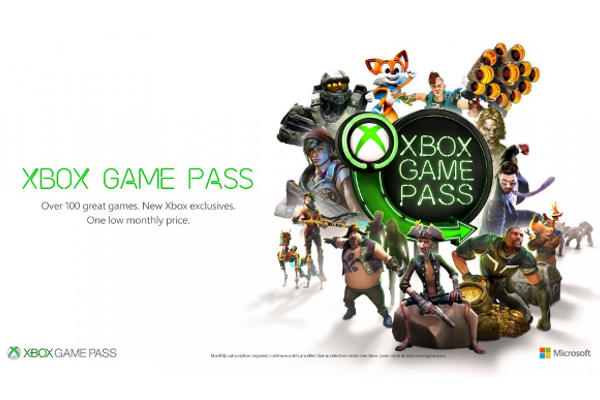 If you haven't tried Xbox Game Pass yet, now is the time, as Microsoft have an incredible offer for new members that you won't want to miss. Starting today until August 31 you can get one month of Xbox Game Pass for just $2 (or the equivalent local currency) and receive a second month for free in nearly all countries where Xbox Game Pass is available and you can also check with your local retailers for other great offers. The deals don't end here though. During the same dates, Microsoft to offer members new to Xbox Live Gold two months of Gold for just $2 in nearly all countries where Gold is available, so you can easily experience the most advanced multiplayer and take your gameplay to the next level on Xbox and via Xbox Game Pass.